On March 28th, MAPS took a road trip to New York City. 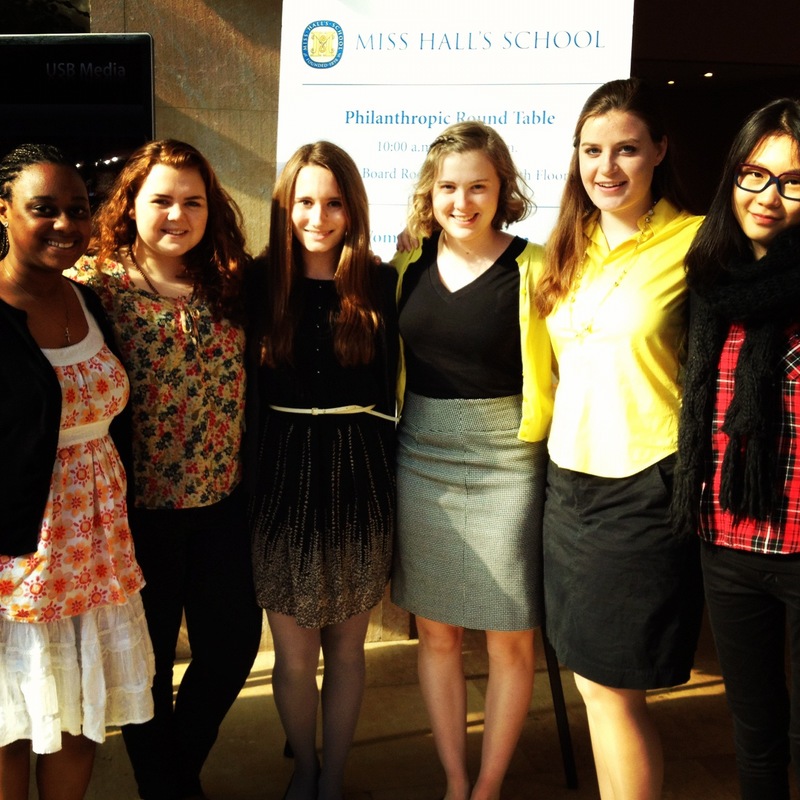 The destination of MAPS members Joy, Kyanna, Morgan, Susan, Trudy, and Zia along with MAPS faculty advisor Ms. Rubin and Horizons teacher Ms. Boland, was the Philanthropic Round Table and the Woman Distinction Award Presentation, both hosted by Miss Hall’s School. The event was held at the Kimmel Center on the New York University campus. The attendees of the Round Table consisted of the smiling faces of MHS alumna, Board of Trustees, and numerous philanthropists from all backgrounds. The mediator of the Round Table, our Head of School, Jeannie Norris, began the morning’s events with an introduction to the discusssion ahead and its topic, The Changing Face of Philanthropy: The Emerging Influence of Women Donors. The panelists included, Jennifer Buffett (Philanthropist and President and co-Chair of the NoVo Foundation), Karen Osborne (President of The Osborne Group and former Trinity College Vice President), Catherine B. Reynolds (Chairman and CEO of the Catherine B. Reynolds Foundation), Josefina Vázquez (Executive Director of the Boston Women’s Fund), and Christine Zachai (Principal of Forward Philanthropy). The panelists responded to questions about a variety of different topics including: how it was not until recently that women began to take a major role in philanthropic organizations, how it is important to educate young women about philanthropy, and the idea of philanthropists giving because they see it as an investment or as a way to give back and be generous. MAPS senior, Morgan, addressed the panelist, Ms. Zachai at the end of the discussion, with this question, “You mentioned a trend toward ‘product’ philanthropy and consumerism among millennials. The Tom’s Company, which sells shoes has a system where they donate a pair of shoes to a child in Africa for ever pair you buy. Do you think this approach to philanthropy is good or bad and do you see this kind of system impacting philanthropy as a whole?” Ms. Zachai answered by expressing her opinion that philanthropic consumerism is a good idea but we have to be careful. She warned that this type of philanthropy can only be successful if the companies keep in mind the right ideas and have the right reasons for conducting their business. You can read what the NYU Newspaper had to say about the discussion and MAPS at NYUNews. Pictured below (from left to right) are MAPS members Kyanna, Joy, Trudy, Zia, Morgan, and Susan.